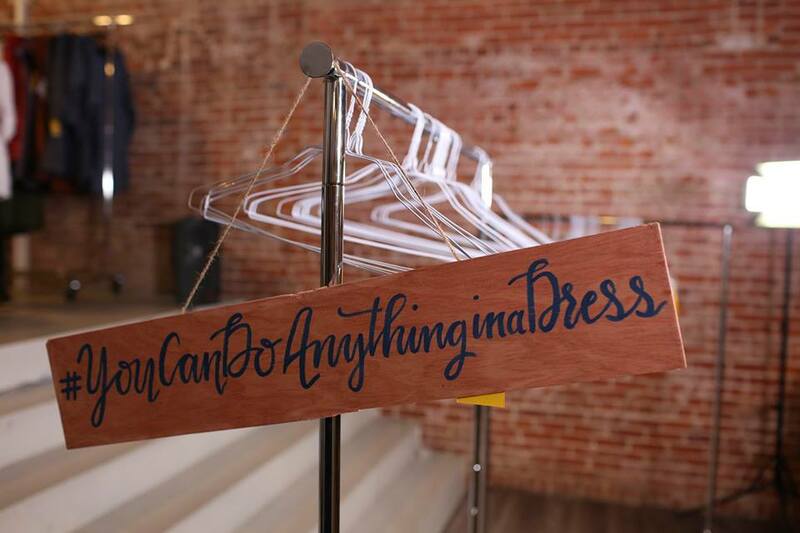 Thousands of women, more and more every year, prove you can do ANYTHING in a dress. December is here! That means snowy weather, the Christmas season, hot chocolate, and daily advocating for the end of human trafficking! For the month of December, women all around the globe are linking arms and wearing dresses in a movement called "Dressember." Dressember is wearing a dress every single day for the month of December in order to end modern-day slavery. If you've never heard of Dressember before, you might be wondering how the two go together. Seemingly there isn't a much of a connection, but today the dress is the flag of the movement, a symbol for change. Wearing a dress everyday shows how passionate you are to seeking justice. When people ask why you're wearing a dress, it gives you a chance to talk about modern-day slavery. It's a way to grab people's attention and raise support. When people see how dedicated you are or learn about the issue, they're often more than willing to donate to the cause. If you're curious to learn more about Dressember, we have a blog post on it here, or you can go to the Dressember website. Though there's plenty of reasons why you should participate in Dressember (the simplicity of it, the fun of it, the power of it...) there are a few hesitations you might have. Here are some of the biggest hesitations I've heard right alongside some of the reasons why you shouldn't let them stop you...because you really can do anything in a dress! "I don't own enough dresses." This is probably the biggest hesitation people have about doing Dressember and also one of the biggest misconceptions. You don't have to wear a different dress every day of December, or even one every day. To up the challenge, some women wear the same dress all 31 days, Blythe Hill and I being among them! I did it one year and really enjoyed it. If you are worried about only wearing a few dresses, we've already got some tips for you on how to make the most of your closet. You can also check out Blythe Hill's Instagram! "It's so cold wear I live." I get that. Wear a pair of jeans and a long-sleeved shirt with a dress over the top! It's just as warm, and it's a lot more noticeable. The more attention you bring to your dress, the more you get to talk about human trafficking! And that's the point. But if you're still concerned about how cold it gets, check out these tips on how to winterize a dress and look at this picture. If she can do it, you can do it too! "I have to wear pants to work." At certain places, bosses are surprising flexible. Just ask! But if you really can't, then that's a-okay. During the day you can wear this cute Dressember necklace or potentially buy a button to bring attention to the cause. Wearing a dress for Dressember means that you wear a dress when you choose what you get to wear. So if you wear pants all day at work, come home and put on a dress, it still counts! For a long time, Dressember was primarily aimed at women. Now guys are encouraged to join in as well! You can wear a bow tie or tie all December long to call attention to the cause and fundraise. "But I have... on this day." Some people have a special occasions that they don't want to wear a dress to, for whatever reason. You're supposed to wear a dress everyday but don't let one day stop you from advocating the other thirty days! You can wear your Christmas pajamas all day on Christmas and wear a dress every other day and still be a participant. However, breaking tradition for the sake of social justice can be a powerful thing and possibly cause more awareness than it would normally. I've also met people who do Dressember by wearing a dress at some point throughout the day instead of the whole day. It's really up to you! "I don't want to fundraise." I get it. Asking people for money can be a bit awkward. But, getting the word out there about human trafficking and showing people that you care is a big part in ending it. Sharing about your cause on Facebook is an easy way to do reach a lot of people and by putting the link at the bottom of your post, you don't have to directly ask people to donate. You never know who might want to give a few dollars! But never feel pressure to fundraise. Participating and helping spread the word about human trafficking is the most important. If you have any other questions or objections, just ask in the comments below! Also let us know if you're participating this year!